Proper evidence storage can make or break a case. Spacesaver has provided short-term and long-term evidence storage solutions for law enforcement agencies throughout North America, and through this experience we have come to understand the intricacies involved in collecting, retaining, and tracking evidence. For the long-haul maintaining the integrity of evidence should be a top priority. Getting organized with the proper storage solves an immediate need for your police department but can also have a positive impact on the community by eliminating the opportunity for negative exposure for lost, tampered or stolen evidence. Whether it’s customized mobile shelving systems with wide-span heavy-duty shelving, stationary shelving systems with specially designed bins, or a uniquely crafted bike rack system, our seasoned public safety storage experts will match the evidence storage system to your needs – helping you maintain the integrity of evidence at every point within the chain of custody. Learn more about our short-term evidence storage solutions with pass-thru and non-pass-thru evidence lockers. 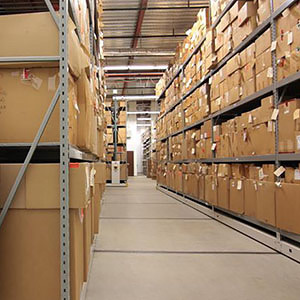 Or how we assist in handling long-term evidence storage through the use of mobile shelving and warehouse racking. At Houston Police Department we assisted in storing up to a million different items such as bicycles, bumpers, drugs or jewelry through the use of ActivRAC industrial mobile shelving and reduced the building envelop by as much as 30% saving significant construction costs without sacrificing storage space. It is clear that preserving biological evidence has become more important today than it was ever before due to advances in DNA testing. Biological evidence can make or break any case, but there are several significant challenges to properly storing any type of biological evidence for a lengthy or indefinite amount if time. 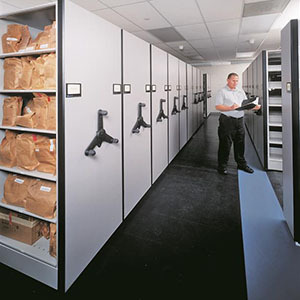 Challenges include determining the appropriate temperature each item of biological evidence needs in order to maintain integrity, purchasing and operating appropriate refrigeration units/spaces to house evidence long term, and finding adequate storage space for larger items that will not require off-site storage facilities or result in the need for costly additions to the property and evidence room. 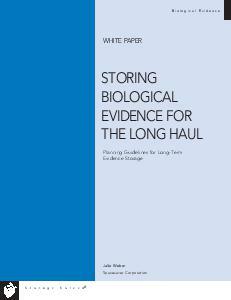 The good news is that the above issues with storing biological evidence for the long haul can actually be overcome through the use of specialized storage products and appropriate storage planning. 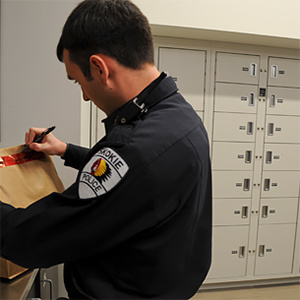 See how Spacesaver evidence storage worked for Skokie Police Department by watching the video.